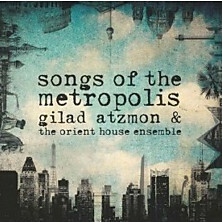 Songs Of The Metropolis may as well be our most successful album to date. The concerts are selling out quickly and the press is raving about the album. Fri-22-Feb - Show Time 7:30, Doors Open 6:00pm £15, to book. Fri-22-Feb - Show Time 10:30pm, Doors Open 10:00pm, £15 to book. Sat-23-Feb - Show Time 7:30pm, Doors Open 6:00pm, £15, to book. Sat-23-Feb - Show Time 10:30pm, Doors Open 10:00pm, £15, to book. A subtle blend of East and West, that’s brutal and beautiful’ BBC.